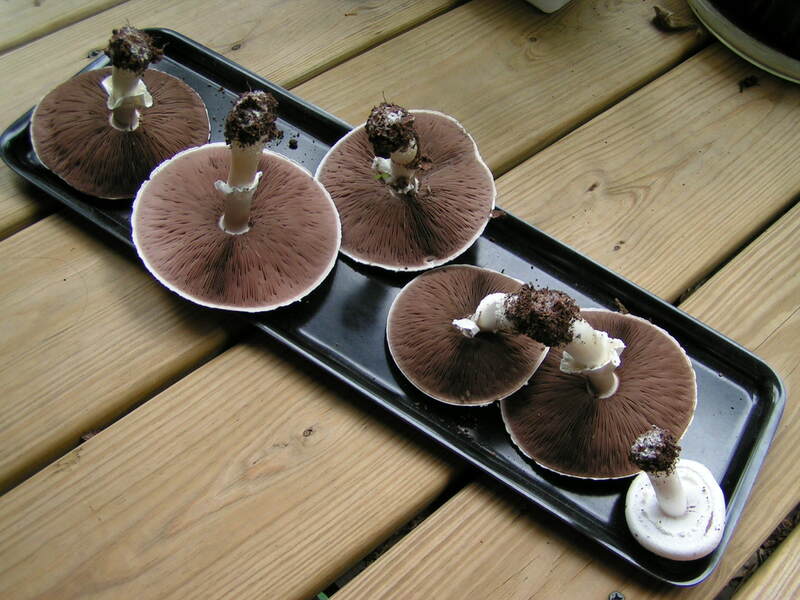 Lot of 6 mushrooms found growing in mulch under cedars. The bases were infested with termites (which I found rather odd). 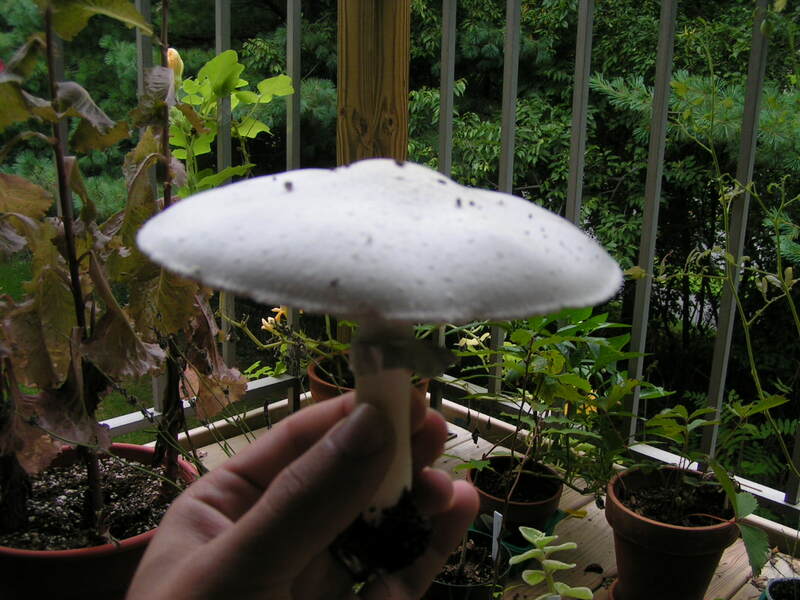 Cap on the largest specimen was 5 inches across. White with what appear to be very small warts (UPDATE: Was just dirt from transport.). Small smattering of light brown here and there. Slightly inrolled margin. 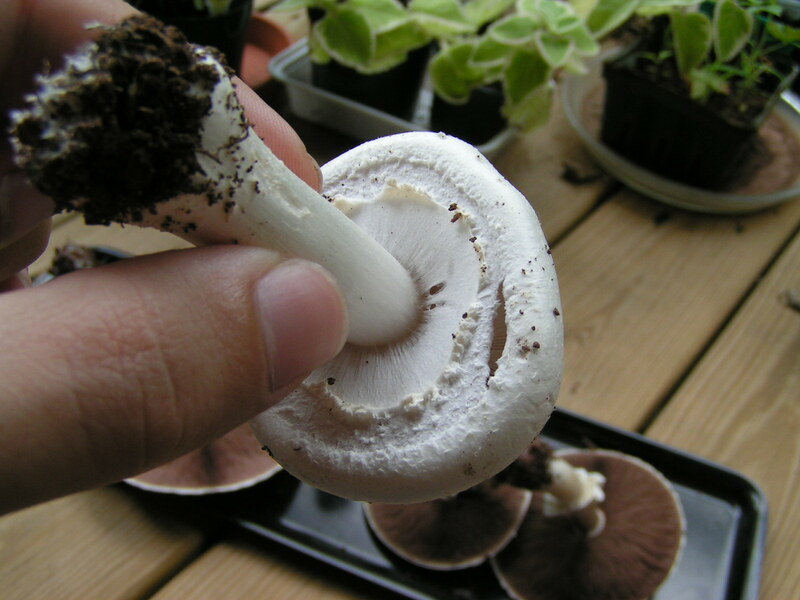 Gills are a pleasant light brown to slightly pinkish brown. Crowded and short, free from stem. 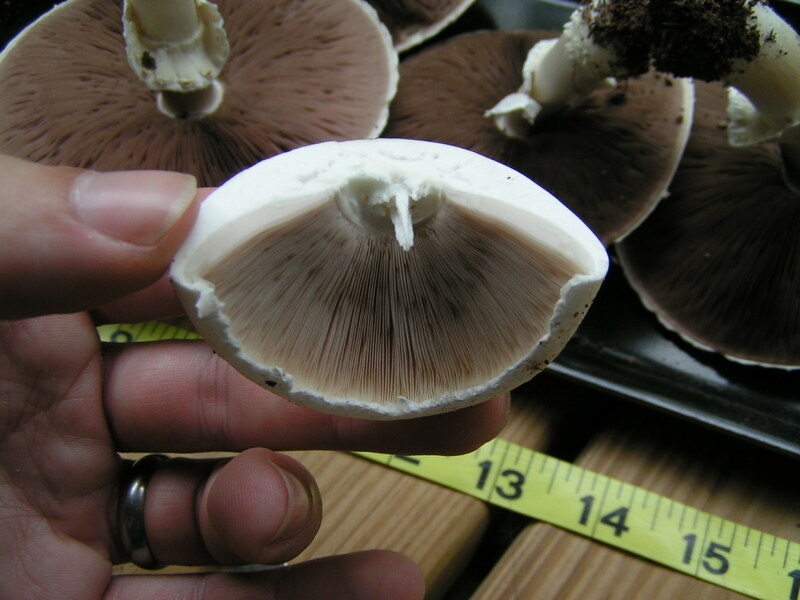 Youngest specimen had gray-buff gills and partial veil. 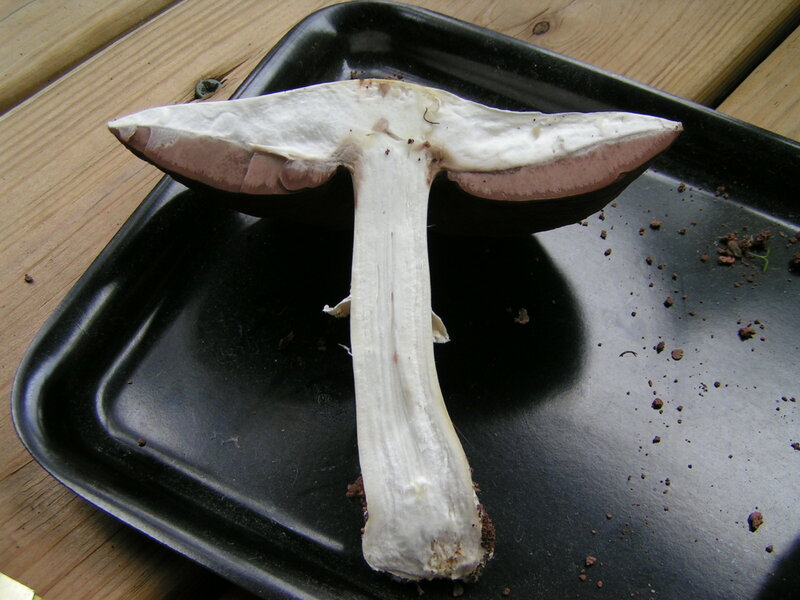 Stem was about 4-5 inches long, white, very prominent floppy ring. Very slightly bulbous at the bottom. Some infested with termites. 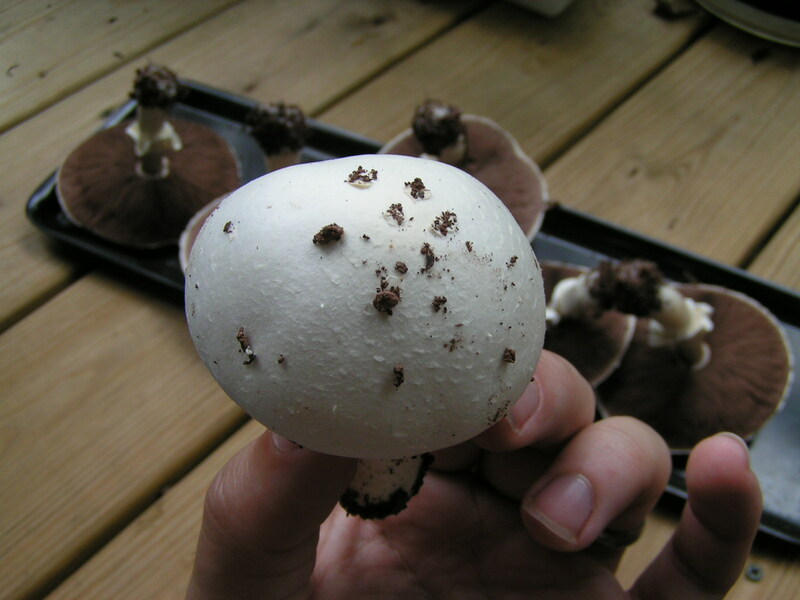 UPDATE: Upon visual comparison of both macro features (cogwheeling on the ring, slight yellow-staining on the cap in pic 5) and spores, this appears to be a specimen of Agaricus arvensis or Agaricus macrosporus.